Great class today! Elaine Huffman CZT joined us to teach today's Beginner Workshop. 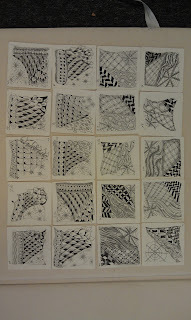 Here is a photo of their work. 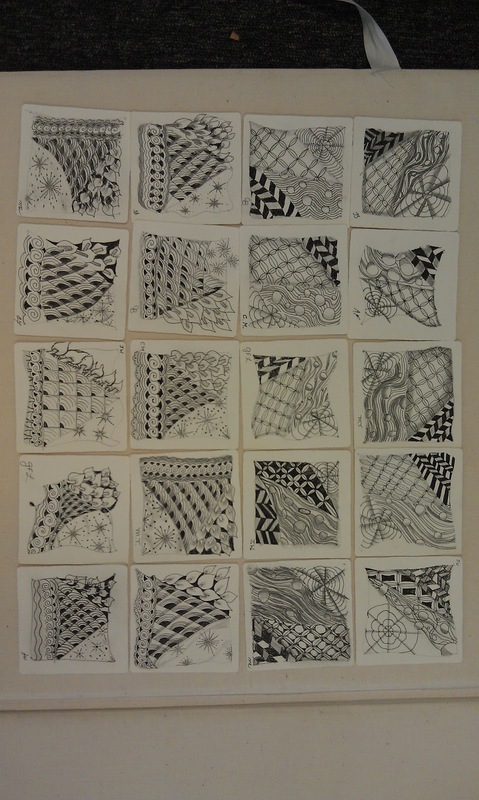 As always it is wonderful to see the variety of designs that appear as students learn each pattern and then interpret and create in their own unique ways.Congratulations everyone on the creation of your first Zentangles! Our next Beginners Workshop will be next Saturday July 7th with Molly Hollibaugh from the Zentangle company.Click on the Zentangle Program at Franklin Art Center tab at the top of this page for more info on classes and registration.Its going to be a great summer!